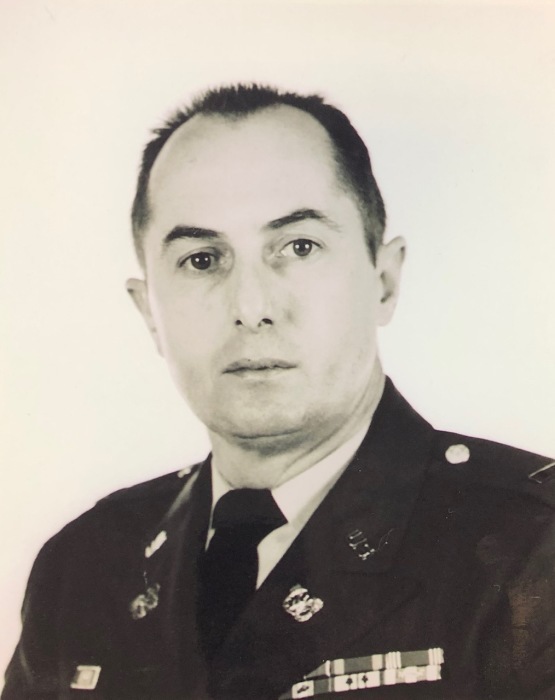 Mr. Wilbert Lee Bailey, 85, of Matthews passed away April 11, 2019 in Brookdale of Weddington Park. He was a retired Chief Warrant Officer of the US Army. He was born March 10, 1934 to Thomas and Esther Snipes Bailey in Wilmington, NC. He married Marcelina Galeano who preceded him in death. Left to cherish his memory are his sons, David Lee Bailey (Sarah) and Charles Edward Bailey; his grandchildren Bradley Bailey, Kristen Peterson (Joshua), Jacob Bailey, Ethan Bailey, Allison Bailey, Hunter Bailey and William Bailey; and brother Thomas Bailey. Celebration of Life Service will be 1:00 pm Saturday, April 13 in the Good Shepherd Chapel of Life and Legacy Funerals and Cremations, 6525 Old Monroe Rd, Indian Trail, NC 28079 with Rev Phillip Partin officiating. The family will receive friends at the funeral home 12:00-12:45pm prior to the service. Committal with full Military Honors will follow in the Veterans Section of Sunset Memory Gardens.